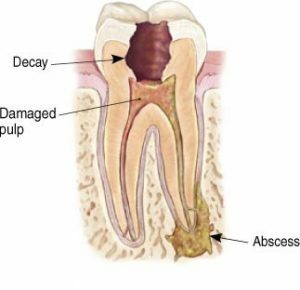 After your root canal has been completed, our office will send x-rays and a record of your treatment to your general dentist. 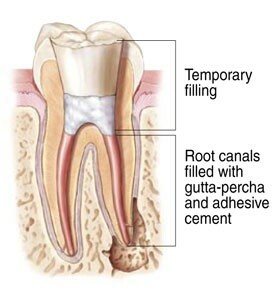 You will need to see your general dentist for any permanent restoration. 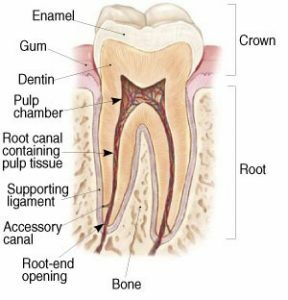 Your dentist will decide on what type of restoration is necessary to protect your tooth. No you do not need a driver. 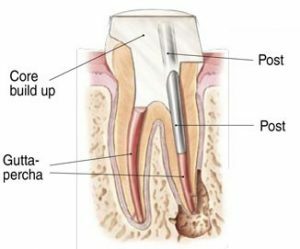 We will use a local anesthetic to numb the area while you have your root canal treatment. If you have nitrous (laughing gas) we will administer oxygen after your treatment so you will be able to drive after having that as well. If you take a sedative such as a Valium before your treatment, we do require you to have a driver accompany you to your appointment. 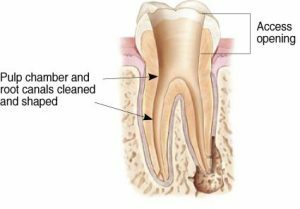 Will I be sore after my root canal? Every patient heals differently, depending on many factors including degree of infection. 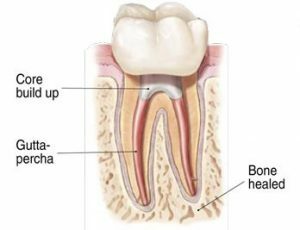 The first few days after your treatment, your tooth may be a little sensitive and might feel slightly different from your other teeth. Discomfort can be relieved with over the counter pain medication and our Doctor’s may prescribe antibiotics if necessary. 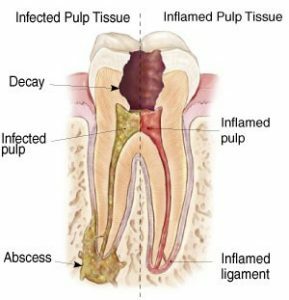 If you are experiencing severe discomfort that lasts more than a few days, please contact our office and we will bring you in for a no charge check appointment.